The rapidly-growing automotive supplier Preh Car Connect GmbH is re-establishing its software development on the Product Family Engineering methodology. Preh engineers, already longtime Enterprise Architect users, were recently introduced to LemonTree from LieberLieber. The new concept was unveiled in a joint presentation and is nothing short of ambitious. Vienna/Dresden – Product Family Engineering (PFE) helps companies more easily reuse or issue new versions of software they have already created. The resulting variants differ in their functional scope, but the basic components of the software are used again and again. Computer scientist Tim Michaelis, software architect at Preh Car Connect: “As our company continues to see strong growth and the implementation of numerous series projects, we can effectively use components of our own software again and again. So far, however, this has only been possible through the laborious manual copying of software architecture models. Together with LieberLieber, we are now working on a project that will automate such processes. 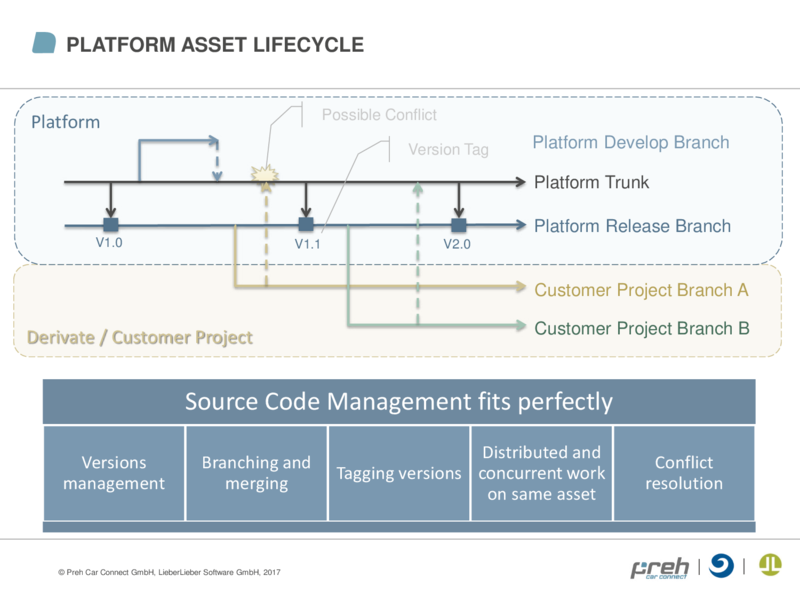 LemonTree is an important building block for us in order to be able to implement these development steps faster and more easily.” At Preh Car Connect, a total of approx. 1,200 employees work at eight locations worldwide. The headquarters and central development site of the company is located in Dresden. For more than 20 years, the company has been developing and producing high-quality infotainment systems for well-known OEMs such as the Volkswagen Group. LieberLieber CTO Roman Bretz and Tim Michaelis presented the new concept at the “Tag des Systems Engineering 2017” conference (TdSE 2017, engl. : “Systems Engineering Day 2017”), held from November 8-10 in Paderborn, Germany. The presentation, entitled “Model Versioning in Product Family Engineering with Enterprise Architect and LemonTree,” highlighted how cost and innovation pressures are the key drivers for the changeover to a PFE approach. Roman Bretz: “At the TdSE 2017 conference we introduced our concept for distributed work on various model versions while always keeping the ’basis software platform’ consistent. The main idea behind it is the application of already-existing approaches that are well established in the area of source code configuration management.” The growing necessity to tighten development cycles requires close cooperation of all customer project and platform development stakeholders. 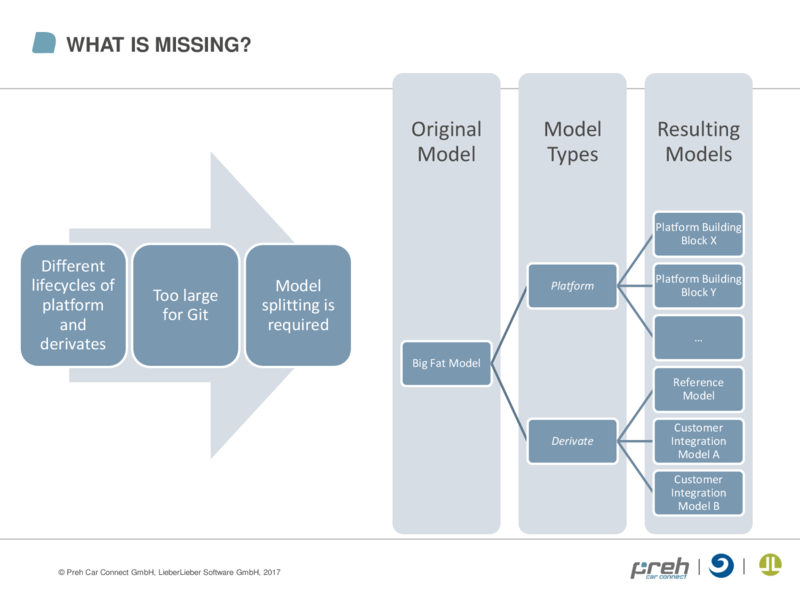 The situation wherein complex products made up of many components are managed by special teams that previously worked on a common model has brought forth completely new challenges at the model level. To establish the so-called “basis software”, which forms the core of the individual product lines, as an independent platform and to adapt and expand it into in individual customer projects is not possible within the standard functionality of today’s modeling tools. Dr. Konrad Wieland is an expert in modeling and model-based software development in the most diverse domains. Even during his dissertation at the Vienna University of Technology, he published a host of articles on team-based modeling and software configuration management. Since 2012, as Consultant and Product Manager at LieberLieber he has continued to expand his expertise in these and other areas in and around Enterprise Architect.